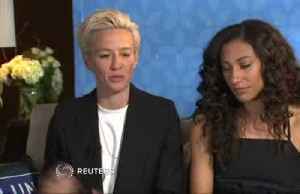 Members of the United States women&apos;s soccer team say their recently filed lawsuit against U.S. Soccer alleging gender discrimination is not just about wages but also improving the sport for..
Members of the United States women's soccer team say their recently filed lawsuit against U.S. Soccer alleging gender discrimination is not just about wages but also improving the sport for women..
Tulsa, here come the Bulls! The UB men's basketball team is headed to Oklahoma for the first round to the NCAA Tournament, the team learned during the selection show on Sunday evening. 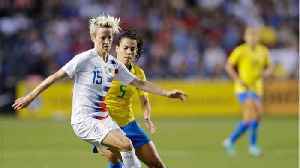 For the second..
Paris (CNN)The US women&apos;s national soccer team will &quot;fight until the end&quot; in its battle for equality, says one of the team&apos;s co-captains Megan Rapinoe. 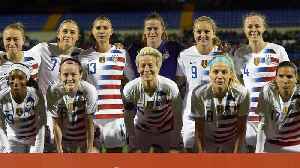 With the..
U.S. Women’s National Team Soccer Players: Same Play? Same Pay! On International Women's Day, many shared powerful quotes and photos of admirable women. 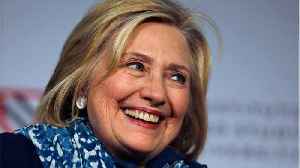 But according to Allure Magazine, 28 players from the U.S. women's national soccer team spent the day a little.. According to Reuters, lawyers representing the world-champion U.S. team were on their way to a California courthouse to file a landmark lawsuit that would rock the sport. The women’s national team..